Gorgeous, Panitz Signature Homes model on a large wooded, cul-de-sac lot made for entertaining and raising a family. This gem sports 5 bedrooms/4 full baths. Expansive open floor plan with all the builder upgrades. Rounded interior corners, beautiful dining room, large family room with built-ins and gas fireplace. Huge kitchen with breakfast bar for 5! Corian counter-tops, tile back splash, 42'' cabinets with under cabinet lighting, walk-in pantry and NEW stainless steel appliances. Large master suite with a beautifully appointed master bath and large L-shaped W/I closet. Huge (728 sqft) bonus/5th bedroom has a full bath. Great for media/play room or teen suite. 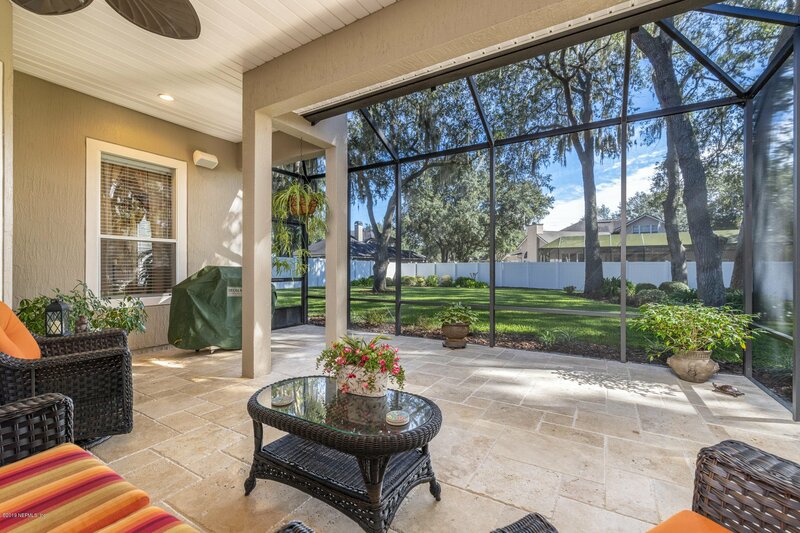 380+ sqft screened lanai with Travertine looks out onto a beautifully landscaped canopy shaded yard with many mature oaks. 3-car over sized garage that will even fit a full size quad-cab truck with room to spare. New AC, ext. paint. Plantation shutters, custom window treatments. Plumbed for water softener. Structured wiring, interior and lanai speakers, 5.1 theater surround sound in family room. Buried gas tank with lanai stub-out for grill. Listing courtesy of FLORIDA HOMES REALTY & MORTGAGE LLC. Selling Office: URWAY REALTY LLC.